Night falls, and now our watch begins. We know you love Game of Thrones content like The Hound loves chicken, and we stand ready to serve. 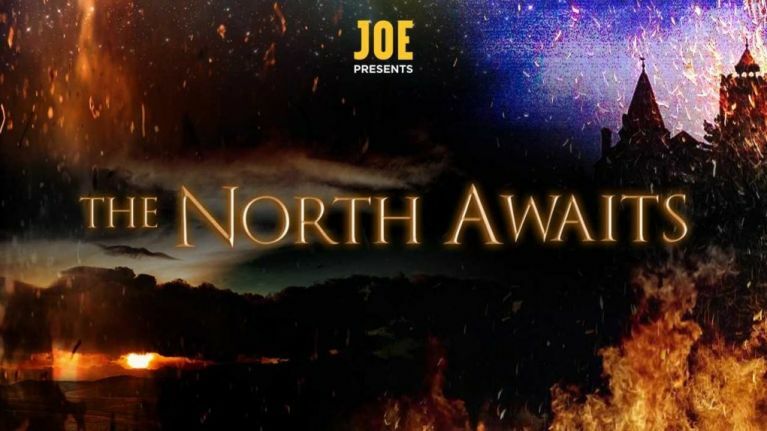 Hosted by Winterfellas Michael Fry and Carl Kinsella, The North Awaits is our new Game of Thrones podcast, designed to vivisect every element of Game of Thrones' final and all-important season. This new show will deliver everything you need: scene-by-scene analysis, wild theories, character obituaries, Westeros weather updates, and Game of Thrones fantasy league strategising. To make it fair on everyone who couldn't get up at 2am, the show will kick off tonight after Episode 1 has aired in Ireland. It will be available wherever you get your podcasts - Apple Podcasts, Google Podcasts, Soundcloud and all the rest of the gang, at 10pm tonight. As we know from Season 7, the White Walkers have finally breached The Wall using an undead dragon, Cersei Lannister is plotting to betray Dany and Jon — who are unknowingly engaged in an incestuous romance, the Stark children are all finally back at Winterfell, and Jaime Lannister has decided to fight for the living. The stakes have never been higher, and there's never been more to talk about. Make The North Awaits your first stop after every episode of Game of Thrones this season.